Burghausen Castle in Burghausen, Upper Bavaria, is the longest castle complex in the world (1051 m), confirmed by the Guinness World Record company. 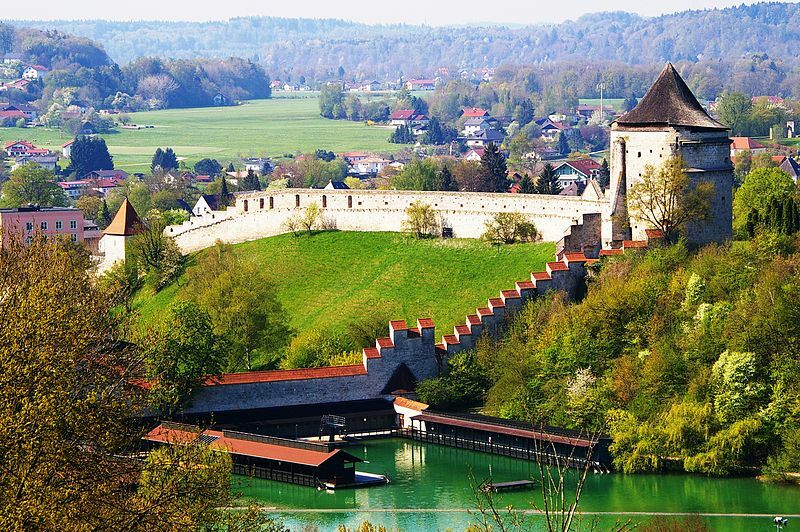 With its still almost intact ring walls, it runs high above the town of Burghausen along a narrow ridge between the Salzach River and an oxbow lake, the Wöhrsee. The complex is divided into six large courtyards, which were originally all protected by moats, portcullises and drawbridges. With their fortified walls, gates and towers and the service and residential buildings for court officials and craftsmen, they set the scene for the massive main castle grouped around an inner courtyard which crowns its southern tip. The castle hill was settled as early as the Bronze Age. 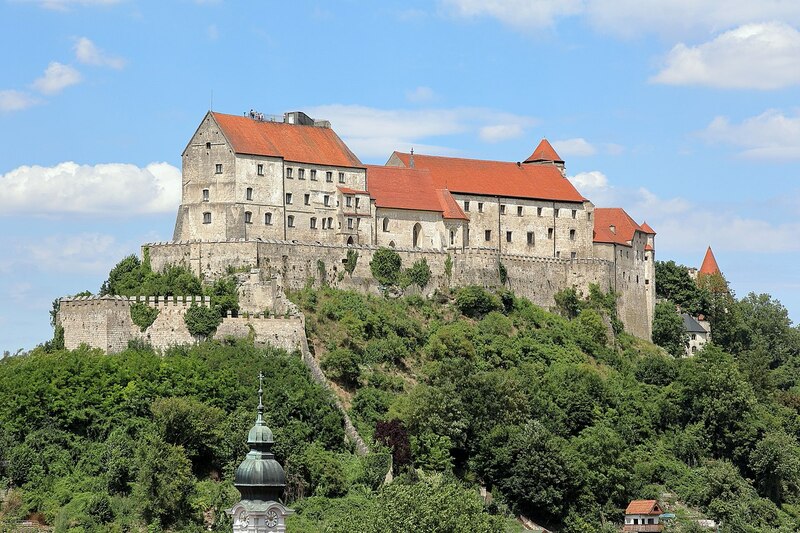 The castle (which was founded before 1025) was transferred to the Wittelsbachs after the death of the last count of Burghausen, Gebhard II, in 1168. In 1180 they were appointed dukes of Bavaria and the castle was extended under Duke Otto I of Wittelsbach. 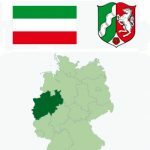 From 1255 on it was the second residence of the dukes of Lower Bavarian and the court of their consorts. 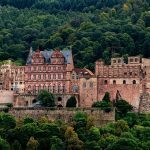 In the late Middle Ages Duke Georg der Reiche (George the Rich) turned the castle with its six courtyards into the strongest fortress in the country. In the historic Great Hall (Palas) are the ducal apartments and the castle chapel dedicated to St. Elisabeth. The outermost point of the main castle is the Palas with the ducal private rooms. Today it houses the castle museum, including late Gothic paintings of the Bavarian State Picture Collection. On the town side of the main castle next to the donjon are the gothic inner Chapel of St. Elizabeth (1255) and the Dürnitz (knights’ hall) with its two vaulted halls. Opposite the Dürnitz are the wings of the Duchess’ residence. 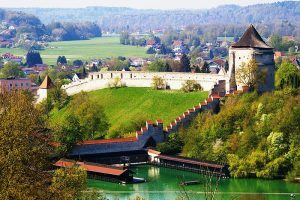 The special significance of Burghausen Castle derives from its historical importance as a sovereign castle belonging to the Bavarian Wittelsbachs and its architectural standing as one of the most magnificent examples of late medieval fortifications. 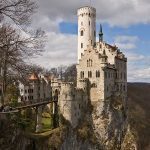 The massive stronghold was the most effective fortress in the country and embodied the power and representative ambitions of the Bavarian dukes. 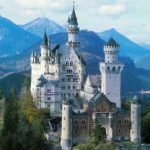 These days, the castle is owned by the Bavarian state. Today containing two museums and a youth hostel, the castle complex is divided into six courtyards. Each courtyard had or has its own fortified gate, moat and wooden drawbridge. Likewise each courtyard was built at a different time and has its own individual history. In the first courtyard the Palace of the Duke’s Residence, the Kemenate, The Durnitz (Gothic Hall), the Inner Castle Chapel and the Treasury are located. The Inner Castle Chapel was built during the 13th century, a time period when architecture changed from Roman to Gothic style and hence the outer walls of the chapel were built in Roman style and the inner style of the chapel was Gothic. It also included the stables, the brewery and the bakery. The second courtyard is quite large though many of the original buildings are gone and have not been rebuilt. Originally it contained the stables, a well, the main kitchen and the bakery as well as the lodges of the grooms and pages. In the third courtyard the smithy and an arsenal were located. Grain was stored on the upper two floors of the arsenal. It has one of the most distinguished and best preserved bridge and gate of any castle of medieval times. It is the most narrow part of the castle and the wooden bridge has a length of 27 m and covers a moat 8 m deep. 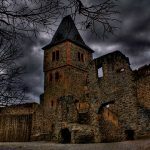 In the fourth courtyard were another stable with grain storage on the second floor, the prison, Torture Tower or Witches Tower and a deep dungeon. 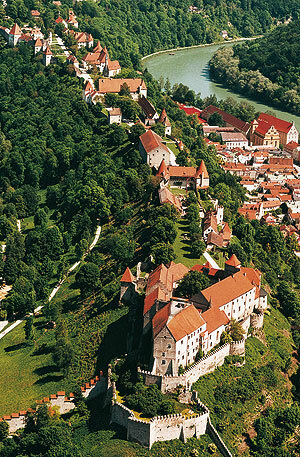 Burghausen Castle is one of the few castles that had a separate torture chamber. The actual torture devices are now on display at the National Museum in Munich. The fifth courtyard contained the main Tower (Gardener’s Tower), which also served as a look out, as well as the tax office, where the tax payments of corn, wine and oil were stored. A small Gothic style chapel, which was built between the years of 1480 and 1490, is also located there. The sixth courtyard is the largest and most changed courtyard of the castle. In the middle stands a Clock Tower (built in the 15th century) with a well house attached to it. In this yard master officials, clergy, craftsmen and their families lived and had their workshops. There was also a horse pond and a horse drawn mill. The towers on the right side of the yard were built during the 14th century and are square, whereas the towers on the left side were built during the 15th century and are circular. The Pulverturm (“Powder Tower”, constructed before 1533) protected the castle in the western valley next to the Wöhrsee lake, an old backwater of the river. A battlement connects this tower with the main castle. 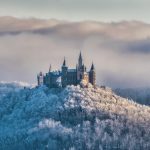 The State Gallery has a collection of late Gothic panel paintings and a monumental picture cycle illustrating the history of Bavaria. There is a magnificent view of the surroundings from the viewing platform on the roof. 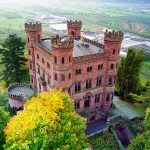 The castle has four beautifully ornate rooms that can be rented for receptions, exhibitions, concerts and banquets. The chapel provides a perfect setting for a romantic, fairy-tale wedding. The castle remains open to the public from April to September, 9 am to 6 pm daily, and from October to March, 10 am to 4 pm daily. The museum is closed on January 1, Shrove Tuesday and December 24, 25, and 31. Regular price for a ticket is €4.50. Visitors under 18 years of age do not need a ticket. 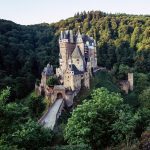 The castle does not offer guided tours, but visitors are welcome to take a self-guided tour around the castle and discover its many wonders, including the Great Hall (Palas), St.Elisabeth Chapel, apartments, courtyards, and the outer fortifications. The art gallery houses a great collection of late-Gothic panel paintings. The icing on the cake is certainly the panoramic view over the river and the town of Burghausen from the roof of the castle. There is a cozy restaurant and beer garden in the outer courtyard.